HTC 11 should be presented at the upcoming Mobile World Congress in Barcelona at the end of February. Today we talk about the features of this smartphone and new rumors about the interesting hardware specifications. According to reliable sources, such as the well-known social network Weibo, seems that the new HTC product is going to be really performing. Under the hood, the device will probably feature a powerful processor: this could be the Qualcomm Snapdragon 835 which includes the Adreno 540 GPU. Even just with these first informations the device can be considered a flagship smartphone, because the processor used emphasizes high performances in order to support the augmented reality. The smartphone uses a dual 12 megapixel camera while in the front there will be placed an 8 megapixel camera, rumors declared that some new features will allow the usage of both the sensor at the same time. One feature that apparently might be useless but which contributes to the WOW effect is the capacity of the storage memory up to 256 GB combined with 8 GB of RAM. 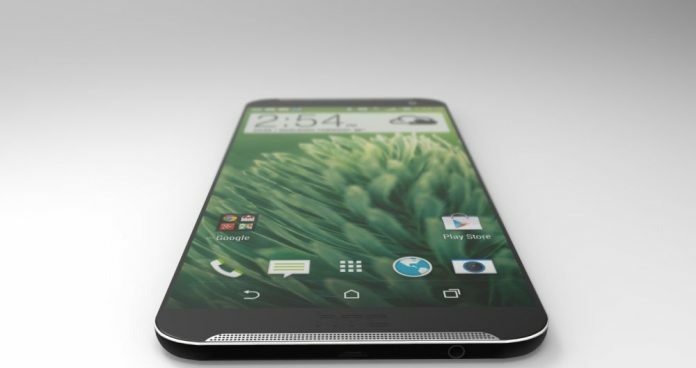 Regarding the battery, HTC will ensure a longher battery life, so the smartphone won’t discharge quickly. In fact, the super sized 3700 mAh battery is huge and do not miss the Quick Charge 4.0 technology that allows you to charge your device more quickly. The device’s line should not differ from the HTC style. The body might, be made of aluminum, though we prefer steel like the old HTC M9. The real change could be in the curves of the back and in the front surface. The 5.5 ” display with a Quad HD resolution may be bezel less (like its competitor Galaxy S8), top and bottom; everything to minimize the size equal to the display surface and to obtain a futuristic design. The price might be high enough, in fact itcould reach € 1000, we hope HTC will add and develop other interesting features over there. But the main question that comes to mind is … the 3.5mm jack will be there? Previous articleSamsung Galaxy S8, here are the latest rumors. Where is the 3.5mm jack?